Does alcohol-free beer contain alcohol? If you’re unfamiliar with alcohol-free beer, this might sound like a silly question. 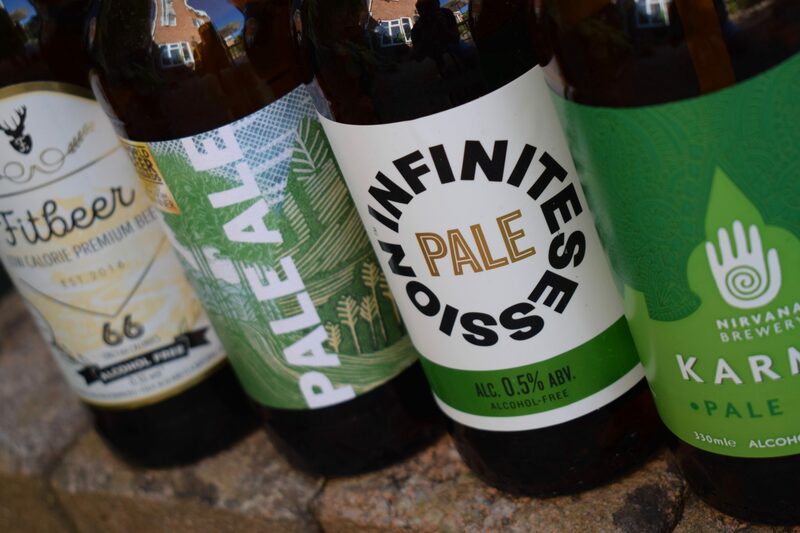 However, most beers labelled as non-alcoholic or alcohol-free do contain a little alcohol – up to 0.5% ABV (alcohol by volume) in most cases. Read on to find out how much alcohol you get in different ABV percentages of alcohol-free beer and how this compares to the amount of alcohol you naturally consume in everyday food and drink. Alcohol-free beer can contain alcohol because the law in many countries and US states allows producers to label beer under 0.5% as “alcohol-free“. 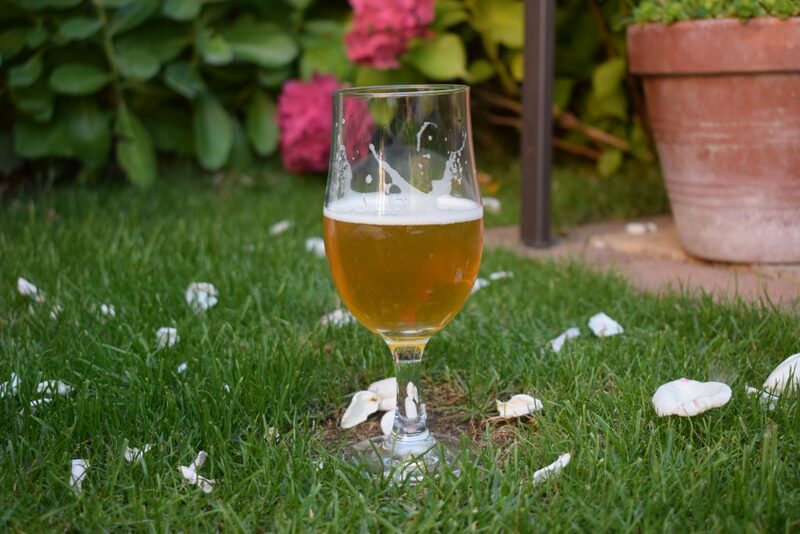 UK legislation is more strict – “alcohol-free” beers are allowed up to 0.05% ABV with beers between 0.05% and 0.5% given the clumsy and out-dated term “de-alcoholised” (despite many not actually having any alcohol removed). However, you can still buy 0.5% beer labelled as “alcohol-free” in the UK because there’s no stopping producers from abroad labelling their 0.5% brews as “alcohol-free” and selling them in the UK. You’ll also find that some UK producers of 0.05% to 0.5% beer use the “alcohol-free” label (with caveats) to compete more fairly with foreign producers. Even beers labelled as “0%” could contain trace amounts of alcohol, as it can be difficult to remove it all. Hence the 0.05% – rather than 0% – limit for alcohol-free drinks under UK legislation. So, why do many countries allow beers with up to 0.5% ABV to be labelled as “alcohol-free” when they do contain alcohol? It’s because the amount of alcohol in most “alcohol-free” beers is so small – there’s about 0.2g of alcohol in a pint of 0.05% beer and about 2.2g of alcohol in a pint of 0.5% beer. This may sound like a lot. But, it can’t get you drunk and is actually comparable to the amount of alcohol found naturally in everyday food and drinks that aren’t labelled as containing alcohol. Related: Can you get drunk on low-alcohol beer (up to 0.5% ABV)? Another study found that some fruits contain up to 0.35% alcohol by volume. This means there’s easily more alcohol in a large glass of orange juice, a ripe banana or a burger roll than a pint of 0.05% beer. And you’d only need to eat a few ripe bananas or a couple of burger rolls to consume the 2.2g of alcohol you get in a pint of 0.5% beer. This is why we need an urgent review of guidance that advises people with certain health conditions to avoid drinking any alcohol, which is pointless advice if they’re consuming similar amounts of alcohol in some everyday food and drinks. This advice either makes people feel guilty for drinking alcohol-free and low-alcohol beer or negatively impacts their wellbeing by limiting their choices. This shouldn’t be the case. Of course, there are other reasons why some of us decide not to drink alcohol-free beer. But the fact it contains a little alcohol shouldn’t be one of them. Is alcohol-free beer bad for you?